Officers say they were simply there to try and keep the man safe. 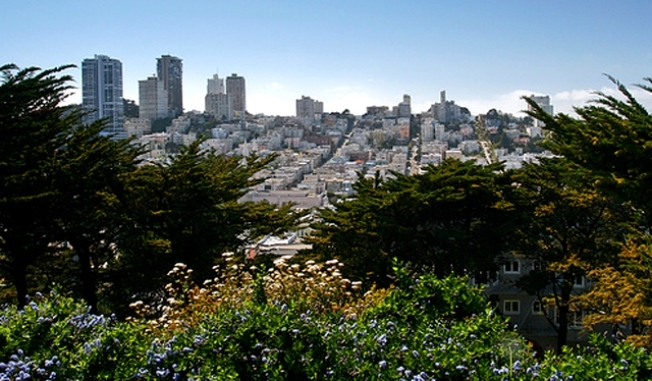 San Francisco police say their response was justified after a burglary suspect ended up stuck on a steep hill near Coit Tower. Officers told the San Francisco Examiner the 24-hour stakeout was a rescue mission more than a manhunt. They are afraid the man, known as transient Dan, will hurt himself if he tries to get down without rescue workers. Police arrived at the Telegraph Hill cliffside on Tuesday night after receiving a call a suspected burglar was stuck on the cliff. The property manager of a nearby apartment complex says he saw the man burglarizing a home and gave chase. Transient Dan jumped a fence to get away, possibly not realizing there was a 200-foot cliff below. Police surrounded the area, calling in police dogs, fire trucks and a negotiator to try and get the man off the cliff. He told them to go away. About 24 hours later, officers called off the stakeout, but they are still patrolling the area. Investigators say transient Dan may have burglarized one apartment in the complex. A resident says maybe one piece of jewelry was stolen.